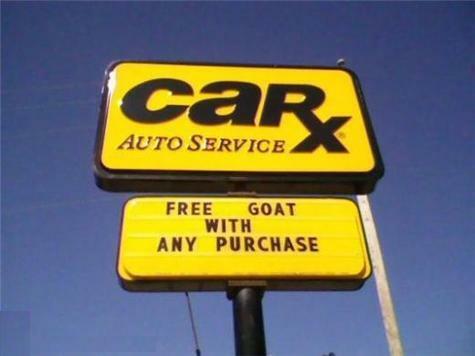 That is not our shop offering free goats. Where did you get that picture? I am wondering what Car-x it was?